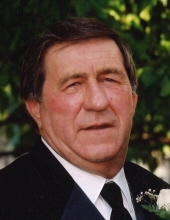 Kenneth Michael “Kenny” Hartzog, 75, husband of Mary Frances (Wagner) Hartzog, of 98 Mitchell Lane, Staunton, passed away Tuesday, April 9, 2019 in the Augusta Health in Fishersville. Mr. Hartzog was born on April 7, 1944 in Surveyor, West Virginia, son of the late Edmond Eli and Juanita Athalyn (Farley) Hartzog. Kenny was an U.S. Army Veteran and retired from Consolidated Freightways in 2000 as a driver/salesman. Prior to Consolidated Freightways he worked for Smith’s Transfer and other trucking companies and he was a member of the Teamsters Local Union 29. Kenny loved his family, especially his grandchildren of which he was very proud. In addition to his parents he was preceded in death by a brother, Scott Hartzog. Surviving in addition to his wife of fifty-five years, are two sons, Steven Michael Hartzog and his wife Valerie of Swoope, and Jason Randolph Hartzog and his wife Cherri of Palmyra; three grandchildren, Tyler Randolph Hartzog of Virginia Beach, Zachary Alexander Hartzog, and Eli Nathaniel Hartzog both of Palmyra; two sisters, Jean Eshelman of South Carolina, and Judith Miles of North Carolina; several sisters-in-law; and a number of nieces and nephews. A Graveside service will be conducted 11:00 a.m. Friday, April 12, 2019 in Mt. Tabor Lutheran Church Cemetery by his son, Pastor Jason R. Hartzog. It is suggested those desiring make memorial contributions to Mt. Tabor Lutheran Church, 334 Mt. Tabor Road, Staunton, Virginia 24401. To send flowers or a remembrance gift to the family of Kenneth Michael "Kenny" Hartzog, please visit our Tribute Store. "Email Address" would like to share the life celebration of Kenneth Michael "Kenny" Hartzog. Click on the "link" to go to share a favorite memory or leave a condolence message for the family.